SEO is a tricky subject. One minute you think you have it nailed and the next everything has changed. And when you consider the fact that Google reportedly changes its algorithm 500 to 600 times per year, you start to see the problem. The only constant in SEO is change. This creates a never-ending pursuit of the coveted number one ranking. But thankfully, there are elements that aren’t likely to become entirely irrelevant, which means you can focus on doing them well in the long term. One such area is the meta description. From the start, meta descriptions have been an essential part of a search engine results page and that isn’t likely to change. 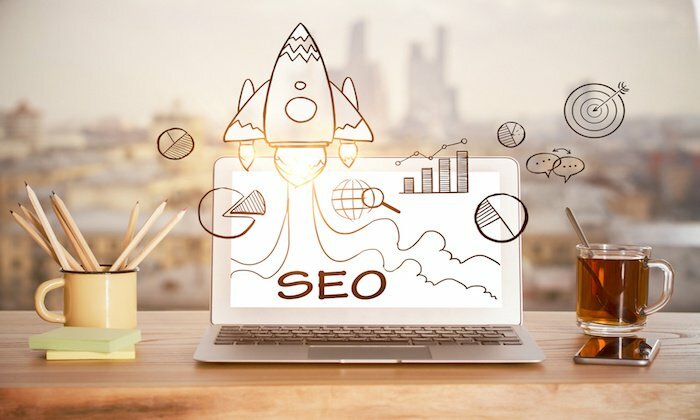 So to help you capitalize on this important aspect of your SEO, I want to teach you how to write one that’s compelling and helps you boost your ranking. But before we get started, let’s talk a bit more about how powerful these meta descriptions really are. In general, meta descriptions have one very important function on a search engine. That is, they provide a succinct description of the content of your webpage in conjunction with the rest of the metadata in your site’s HTML code. And even if you don’t set one up yourself, most content sharing systems will automatically generate a meta description for you. But that’s definitely not what you want, because it almost certainly won’t be as good as the one you create. As you can see, it’s just a short and simple blurb on the content I offer to my site’s visitors. And if you look further at the HTML on my site, you’ll notice that it’s there with all of the other metadata to help show Google what the site is actually about. Every single page of every single website has the ability to contain and share metadata, including the title, URL, and descriptions. If they’re optimized correctly, they can be used to help Google rank pages. And while this is just one element to highlight with your SEO, it’s important to understand why your meta description, in particular, makes a difference. That means knowing how it affects your SEO and what elements are the most important to consider. To help answer that question, you should start by knowing that not all elements of your metadata actually affect SEO. Namely, Google has long held that the meta keywords tag doesn’t factor into SERPs. These tags are embedded in the HTML of your site like everything else, and once upon a time, they factored greatly into SEO. But the practice of keyword stuffing from previous decades killed this trend long ago. But everything else, including the URL, title, and especially the description can affect your page’s on-site SEO. And surprisingly, the reason for that isn’t incredibly technical. Because while Google does take into account your portrayal of your site’s pages, the real marker they look for is user behavior. You see, they don’t just want to know what’s on your website. They want to know if people are actually using it. And since user behavior is affected by user experience, you start to see why meta descriptions actually matter for SEO. Because of all of the elements of your metadata and the search engine results page, the meta description is the most potential-filled part of how you can start optimizing user experience while users are still off-site. And with Google going into mobile-first mode, optimizing the user experience is more important than ever. They want you to be able to provide turnkey moments that deliver on needs by educating, instructing, or showing off what you can do. And even though it might be easy to miss, your meta descriptions are the frontline of that effort for organic search. It’s a small part of your website that acts as a first impression, and that means everything when you’re talking about SEO. Forge and Smith prove this with some fairly impressive results in an SEO case study of their client Sweet Georgia Yarns. By helping craft different elements of their SEO like meta descriptions, they’ve provided a 215% year over year increase in value. All with just some words inside a line of code. Think about what that could mean for your site, too. The general assumption under such an approach is that searching users are often the best judges of relevance, so that if they select a particular search result, it is likely to be relevant, or at least more relevant than the presented alternatives. Google really wants to know what actions people are taking and why they are taking them. Because they believe that users are the best measure when finding content that’s actually useful and relevant. And it seems like they’ve found their answer in meta descriptions. So you can rely on whatever content publisher you’re using to generate it, but that will only create gibberish. But how much more interested and educated are you by the second as opposed to the first? The second description gives clarity about what’s on the page and even provides helpful links to popular pages on the site. And if Pepsi can go back and change its meta description, so can you. You can also start writing good ones as you go, which will only make your site that much better. As long as your focus is on making your meta description appealing so that users will want to click, you can’t go wrong. Your goal should be to master this art so that you can do it quickly. That’s why I’ve compiled a very short checklist for you with only four steps. I believe that if you follow these guidelines, you can start creating the kind of meta descriptions that will help boost your rankings in the long run. And to start things off, I want to talk about how long your description should actually be. Google recently updated their character limitations. And if you didn’t know any better, you would have thought they set the world on fire. Article after article has been published since then to analyze and break down what these changes mean for SEOs and businesses. But in my opinion, focusing on character count alone completely negates the point of SEO. Again, this is about human behavior, not just an authoritative word count. So if you only focus on creating an optimal character count, you might see good results. But I believe you’re better off focusing on the content itself, and there’s recent evidence to back this up. SEMRush conducted an experiment to test this principle and found the variation of the meta tag they used that exceeded the 320 character count performed better and ranked higher. As you can see, the iteration of the description that performed better stopped mid-sentence. This goes against the conventional wisdom that you must stay within the limits of your character count to perform better. And while the psychology of this isn’t necessarily clear right now, it does lead to some interesting ideas that SEOs need to start considering. More importantly, it reemphasizes Google’s vision that user experience in any form is the benchmark we need to consider first. The statistics SEMRush shared only serve to reinforce that idea, too. The longer description that continued above the character count limit saw an impressive 36% improvement in overall click-through rate from its shorter competitor. So the results aren’t exactly a minor difference here. And the implication is incredibly clear. And if you must focus on character count, shoot for around 300-350, as that’s where the majority of high-performing posts fall. But as you can also see, some of these pages ranked with as few as 150 characters. And while the graph stops at 375, I’m sure you could find a meta description with more characters in just a few Google searches. My ultimate takeaway here is that word count isn’t necessarily the best bar to consider when it comes to creating the perfect meta description. Some pages will naturally be shorter or longer than others, and that’s okay. As long as you’re accurately portraying the content on your page, you’ll be on the right track. And even though Google will likely change things up again, I think the advice to focus on user experience is the only route that will truly stand the test of time. Now that we’ve turned you away from your word count woes, let’s talk about the second simple way you can start expanding your description’s SEO. If your descriptions are just so-so, they won’t be helping you get clicks or move up in the rankings. And with user experience still acting as our litmus test for quality, not getting clicks is exactly what you don’t want. So how do you innovate and find ways to get people to click? Well, the ultimate application is up to you. But there are certain practices you can implement in your writing that will help you be more compelling and get more clicks. Let’s take a look at a few. First and foremost, there’s a consensus that you should do your best not to be boring. While that may sound tongue-in-cheek, I can guarantee you it’s not. And when it comes to your writing, the best way to not be boring is to use the active voice. As you can see in this example above, it has a very active voice that provides a momentous push for the reader. You’re told what you can expect but without any unnecessary details that might bore the reader or turn them off. If you’re looking for a simple way to help your SEO, you would most likely click on this link after you read it. You’ll also notice that the example above is very specific and doesn’t contain any fluff. This is especially important if you want to rank high in the SERPs. And more importantly, you want to make sure that the description actually matches the content of the page. What do I find when I click through? Tons of options that promise a more organized life. It matches my perceived needs closely and it follows through on the promise made in the meta description. Do you see how this is still about the quality of your site’s user experience? Another way you can add to this approach is by furthering your promise with a compelling call to action. As long as you talk to your audience and don’t just ramble on about yourself, you’ll find yourself in a sweet spot when it comes to meta descriptions. For example, I like to give previews of the actual content on the page that I think will pique the interest of a more casual reader. Notice that this description has nothing to do with me, my brand, or what I sell. It’s just a compelling excerpt from the blog article. My ultimate goal is to signal value and further your interest, not necessarily get you to buy something. So whatever you do, find a way to be unique and engaging to your audience. If you simply provide technical details or go straight for a sale, you probably won’t be all that interesting. And if you’re not interesting, you won’t climb in the rankings. You spend a lot of time generating keywords for your digital campaigns. You put them in your blog posts, landing pages, and even in your product pages. So why on earth would you not include them in your meta description? Because nothing signals to Google sooner than your metadata what your page is about. Not including a keyword in the meta description could be a fatal mistake. This is a top-ranked search for meta descriptions I found while researching this post. As you can see, Google has highlighted every instance when the words “meta description” appear in the description. Since they were part of my search term, this provides an early signal that the page can be useful in my research. The keyword is used naturally and in a way that educates the reader about the page’s content. The result is fairly clear since this was on the first page of results. You can still use keywords to emphasize to Google what your post is about. One of the best and easiest ways to do this for your own site is with the Yoast SEO Plugin for WordPress. By allowing you to set a focus keyword for every page and blog post, this tool makes the keyword implementation process simple. The only other step you have to take is to make sure that you also use the keyword naturally in the copy and alt tags of your actual page. This helps create continuity throughout Google’s crawling and subsequent ranking of the page. With a checking system like this, you’ll never neglect another keyword in your meta description. As long as you conduct robust keyword research and try to rank for words that are appropriate to your brand, adding them to your meta descriptions appropriately is just the next logical step. If you do it properly, you can be one step ahead of your competition and one step closer to the front page. For newcomers to metadata, it can be easy to think that your Title, URL, and description end and begin with the default Google listing. But this couldn’t be any further from the truth. Google also allows you to implement structured data that lets you “beautify” your description on the search engine results page. When I made a more relevant search for this page, it looked different. The data is still the same but now an image is included and the description is above the title and URL. What changed? The structured data. Any page that’s highly ranked gets to take advantage of this unique function. But the catch is that you have to start using this approach before you get to the front page. Thankfully, there are plenty of ways you can start implementing structured data. This provides an immediate signal to your viewer that they can find something of value on the site. Since social proof is such a powerful way to sell and grow your brand, this is a fairly easy hack that lets you start capitalizing on user behavior with ease. This increases the chance that someone searching for your brand will actually find you and receive helpful information without having to click the top few results pages. Since this appears in the sidebar of the results page, you also achieve a bit of a “two for one” deal with this type of structured data. A user can find your brand, see what your URL is, and then filter their results so that they only see the pages you have to offer. This helps your SEO, as Google takes these actions as a positive signal toward your brand in the long run. And if you think you’ll have a hard time ranking for this tactic, you’ll be surprised to learn that 57% of major companies don’t have structured data set up for their site. Which means you have an opportunity to get ahead of your competitors and boost your SEO that much more. The easiest way to start is by using plugins like Schema to help you learn the basics. This will allow you to edit, test, and improve the structured data on your site without the hassle of digging into your code. With some simple optimization, you can be on your way to the front page in your industry as your brand grows. Meta descriptions aren’t going away anytime soon. The sooner you learn to craft a good description, the sooner you can start boosting your rankings and helping your overall SEO efforts. Since meta descriptions are a part of the overall user experience of your site, Google takes them very seriously when it comes to your SEO. And surprisingly, one of the most outstanding ways you can start improving your approach is to just forget about elements like character count. Instead, try to be unique and interesting. Engage with your potential visitor and show them what you have to offer. If you create the right approach and implement solid keywords, you’ll start to see more organic traffic over time. And if you use structured data elements to position your brand strategically, you’ll stand out even more to both Google and its users. With time, diligence, and a lot of patience, you’ll start to see the results you really want. What tactics have you used to improve your meta descriptions through the years? The post How to Write Compelling Meta Descriptions That’ll Boost Your Rankings appeared first on Neil Patel.